Section 6: Has Chinese Names opposite their Botanical Names. This book is an endavour to classify over 6000 Ayurvedic, Unani, English and Chinese herbs in a single volume. There is no single book available showing Latin names against the Hindi/Sanskrit names of nearly 6000 herbs. This book gives you the equivalent names in a jiffy. The synonyms are mainly in Hindi and Sanskrit but wherever possible author tried to give names in South Indian languages also. Some herbs have several vernacular names for a single herb and the same is true in the case of Botanical names also. Botanical name spellings also differ in many books. 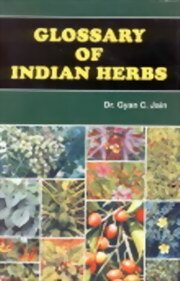 just i have reviwed the contents of the book,there is need of this type book because this will help to identify the actual plant to corelate with the indian older text ,and take advantage of ayurvedic knowledge in modern time which has been now abolished with the dominancy of modern system of therapy. This will help us to the gate way to the ayurveda(herbal system of therapy). many many thanks for this job. just i have reviwed the contents of the book,there is need o ..